Discussion in 'Overclocking & Cooling' started by true_gamer, Nov 20, 2018. I feel when it comes to overclocking, people think they should increase as many settings as possible, which produces more heat from the motherboard and CPU, which is not great, especially for a 24/7 OC. I use an Offset and speed shift for when I don't need all the performance (Typically when web browsing, so this will also help with electricity costs, and also prolonging the life of your CPU, and your Motherboard VRMs, Phases, etc. So most guides will show you to use a set voltage and to turn off any power management, as well as running high currents and high load line calibrations etc. 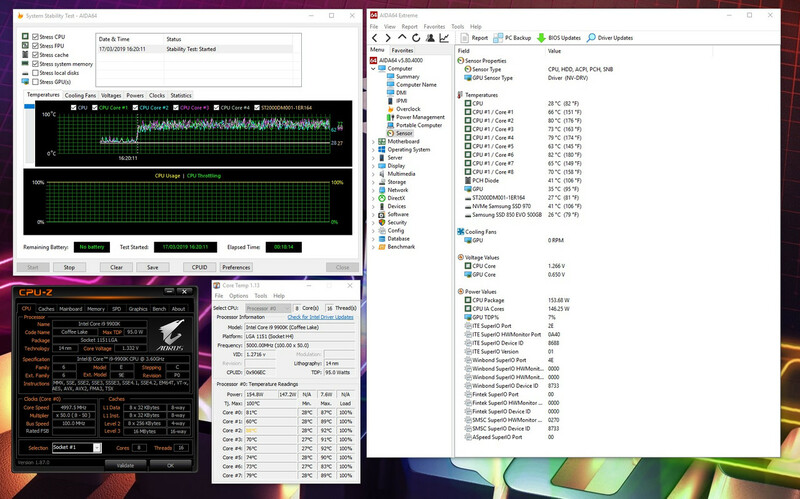 So by doing this, my 9900K @5Ghz would be stable at 1.26v and will hit up to 85c+ with AIDA stress test using a AIO H100i. - then the motherboard VRMS hitting high temps, and generally stressing the system. Now we will do the opposite here, and help keep everything cool and quiet. Adjust all the settings like so. Here we will set the CPU core to normal which will unlock the Dynamic Vcore setting. (Depending on your CPU, you may need to increase by +0.010v till your system is stable. Then we will head into (Advance CPU Core settings). Save and exit. Now run a stress test. 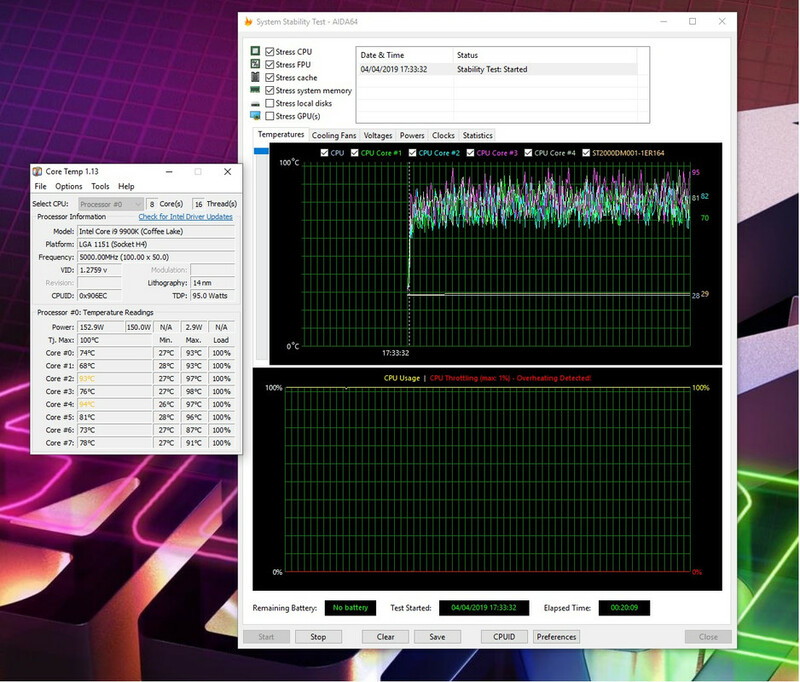 Stable at 5Ghz with 1.2V - VRMS not peaking 40C - So we have a nice solid cool n quite overclock, which is more efficient than the stock settings with turbo. And when you don't need all that power, the CPU frequency and Voltage drop off. How long did you stress test for? It's been running stable for the past few weeks. This guide was just a quick mock up. Just found this today - this is amazing! 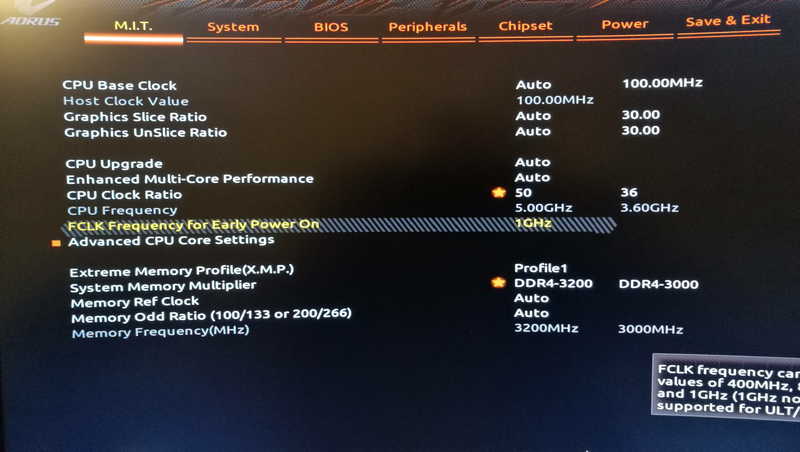 I am new to OC-ing but just manually got my 9900K (on Aorus Master Z390) to 5GHz at 1.265v static with LLC on High. After one hour in AIDA64, VR VOUT sticks around 1.224v when at load and max CPU package temp is 81c. From my admittedly green experience, I believe this means my CPU is stable at 1.224v (the voltage after droop) and any BSOD would be due to a voltage drop somewhere below that point. If that's accurate, the next step would be to manually OC in BIOS by dropping Vcore to 1.224 and raise LLC (without going over 1.224v) to prevent droop below stability, right? Once I find stability, I can ascertain the minimum voltage required for this particular chip to run stable at 5GHz. Then I can use your method here to setup adaptive voltage so the system is stable at 5GHz but voltage drops when cores are idle, right? I'm sure this is basic to most here, but I'm really new and trying to figure out how to tweak the system. Before today, after reading some were having to go to 1.3v to hit 5GHz, I was kind of happy to run a stable 5Ghz at 1.265v. Love to fine tune it even more...If you see this, would you mind to verify I'm on the right track or offer redirection? Thanks! @Ghetzi On the right track. More reading and practice and you be well on your way. Event viewer is a good tool to check for problems in windows 10. You might want to research memory overclocking as well as gpu overclocking via msi afterburner if you have caught the overclocking bug. Lastley welcome to the forum. @hlennie - Thanks for the reply and welcome. 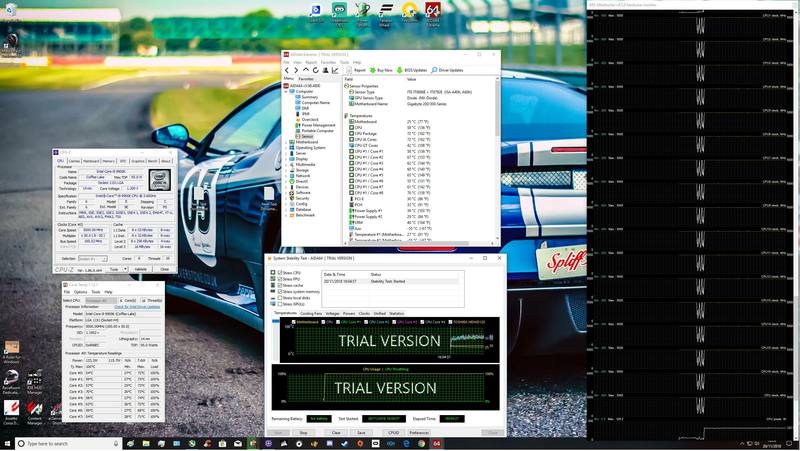 Used to use afterburner, but I recently had to switch to Precision X1 for the asynchronous fan support. Regarding the CPU, I got as far as figuring out that 1.25v static was stable at 5Ghz. Have to wait until this weekend to get back to working on adaptive. Getting closer! I'm sure I'll be back for more researching and, hopefully, positive results. Thanks again! 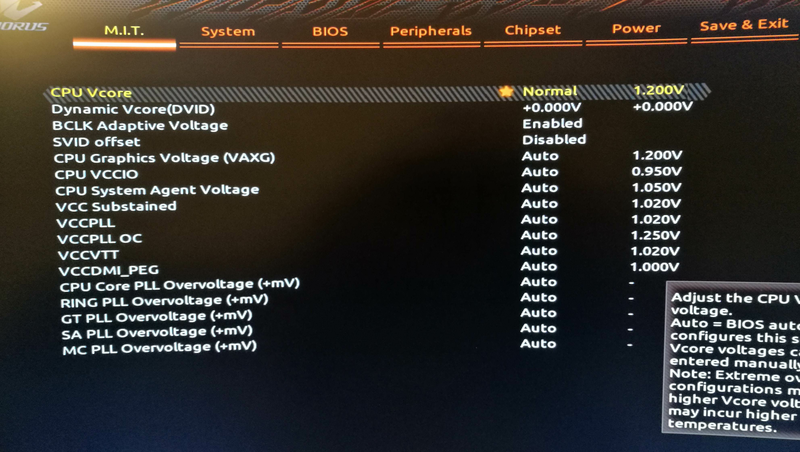 Just a quick look over your images and in the BIOS you have an option for CPU upgrade? 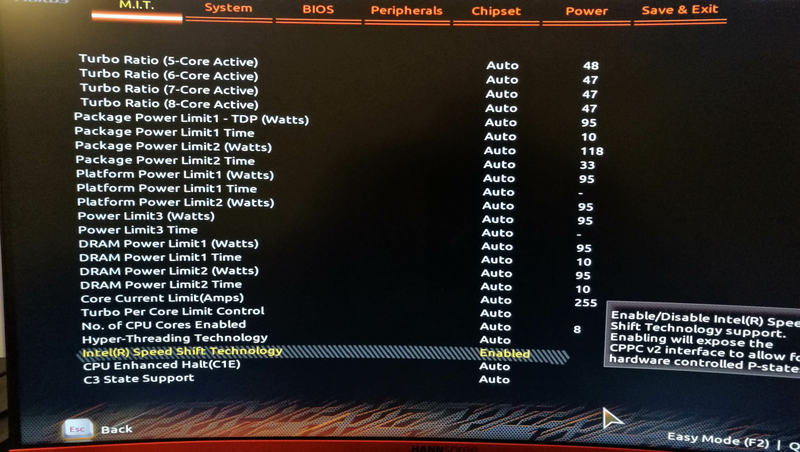 What BIOS version are you using? My z390 Master doesn't show this. Still sat here wondering why your Master has the option for a CPU upgrade and mine doesn't. Shows different stats in AIDA64 as well. I've never had the courage to overclock before, have always been too worried about bricking my system or something. I've been having some issues as of late, potentially with my gpu but that's another thread, just stumbled across your guide and thought how simple and well explained it was. Followed the steps and have got a nice solid, stable performance boost. My cinebench score has gone from 1959 to a 2072, I'll take that... thank you! Could I set the clock ratio to 51 with only needing to add to the dynamic vcore? @orbitalwalsh sorry to keep bothering you pal, should I enable M.C.E in conjunction with the above settings? How does this look? 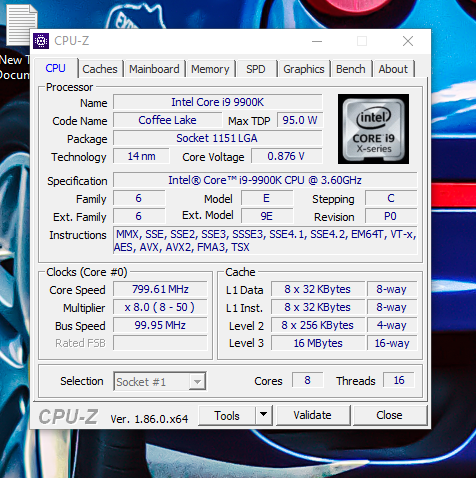 I noticed the core speed does fluctuate slightly above and below 5Ghz, is that normal? With MCE, you just turn it on and leave everything else as stock . thanks a lot for the guide. I followed it step by step but am getting higher core voltages when stress testing. My core voltage ranges from 1.368 to 1.380v with your settings. Whats wrong? Or do I just have a bad chip? Would really appreciate the help! 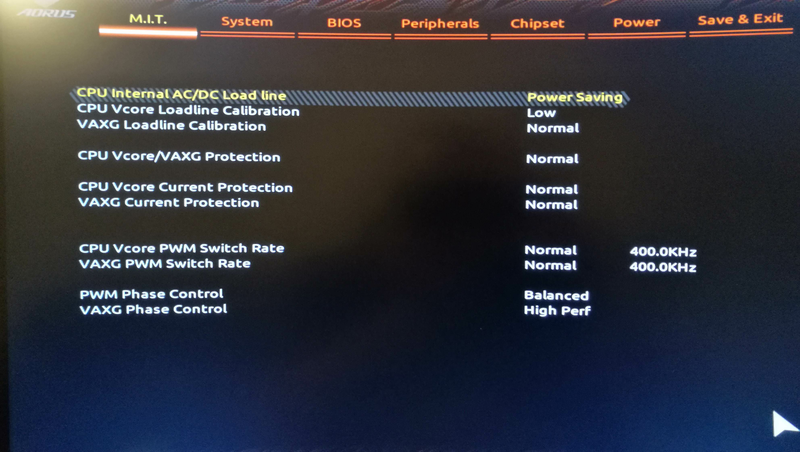 I'm on a Z390 Xtreme Waterforce board. Possible variance in stock voltage with the chips. You could try lowering the dynamic v core bit by bit until it's unstable. @true_gamer So after a lot of faff and getting my pc stable at stock, I've tried these settings again. I've just got a "WHEA_UNCORRECTABLE_ERROR" BSOD so am not stable despite it passing an hour of Aida64 and Running Cinebench R20. Do I need to change anything else? Just worried about adding too much. @Plec Oooof, that's toasty at 5.ghz! Bench a game - what are the results? Was that using the offset approach? EDIT: LOL - responded to alert link - didn't realise we were in this thread. No need apologise - my bad for not looking. And BFV is tough on CPUs so would be pretty pleased with 74C after a long session at 5GHz. You've got to keep in mind that these CPUs are tough... Ridiculously high TJmax.